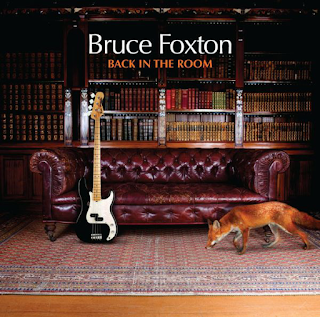 This was Bruce Foxton’s first solo work since 1984 and it is not a bad effort, but it is, unsurprisingly very Jam-influenced. However, the material is certainly better in quality than the often patchy stuff Foxton wrote for The Jam. Beginning with a Jam-style bass dominated instrumental in “Ride”, “Number Six” is pure “Smithers-Jones” Jam fare. “Don’t Waste My Time” is actually a soulful attempt to diversify slightly in sound but there is something in the use of the brass section and the melodious, easily singable sound that just makes one recall The Jam, particularly the 1981-82 phase. Foxton now uses another vocalist on some of the songs, one Russell Hastings, who sounds incredibly like Paul Weller. Poor old Bruce often seems to be re-writing “Carnaby Street” several times over, utilising the same couplet style lyrics and often virtually the same tune. “Window Shopping” is a classic example. It is, as with many of these later efforts, better than the original 1977 track. Some excellent guitar and organ have insured that. “Glad I Found My Tears” is so influenced by old band mate Weller’s Style Council/early solo material. 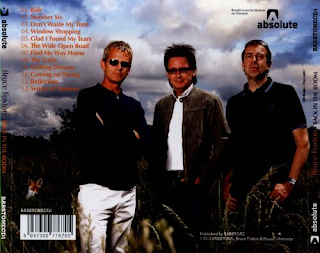 The verses are very redolent of Weller’s Style Council track, “The Ghost Of Dachau”. Hastings even enunciates “thunder” as “funder” just as Weller did on The Jam’s “Monday”. “The Wide Open Road” is an instrumental that sounds like The Jam limbering up in the studio before adding lyrics. Foxton also seems to be unable to shake off the Weller influence in that he has modelled much of the album on Weller’s early Traffic/Humble Pie/ Revolver-era Beatles material. Nowhere is this better exemplified than on the frantic, guitar-driven “Find My Way Home”. “The Gaffa” continues in the same, but in more of a blues rock style, almost like Dr. Feelgood in places. Weller has recorded material like this on “Wake Up The Nation”, only two years earlier. Coincidence? I think not. “Drifting Dreams” sounds almost exactly like Weller it is untrue. If you played this to a person who knew The Jam and Paul Weller’s music, but were not 100% fans, they would think it is indeed him. “Senses Of Summer” is a bucolic, whimsical number of which Weller himself would be proud. The Jam/Style Council/Paul Weller influences are so obvious on this album and would continue on to the next album four years later. Try as Bruce Foxton may, he simply can’t shake off his old mate.